Finally the time has come! PAUL VAN DYK is finally back on stage after his accident. 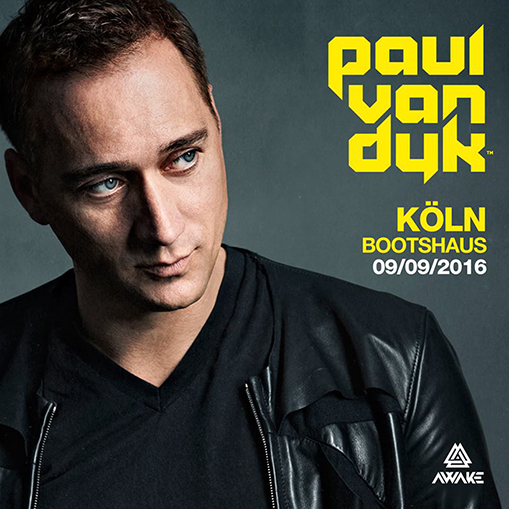 For 20 years, PVD travels around the world to inspire his fans on September 9th he is back in Cologne! Paul has released six studio albums and remixed songs by international artists such as Justin Timberlake, New Order and U2. He has so far sold over 3.5 million records, which was twice in a row to “No. 1 DJ in the World”, nominated for a Grammy and inspires hundreds of thousands of fans worldwide with his live performances. For the 20th anniversary of the Berlin Wall, Paul produced the anthem “We Are One” and played live as a guest star at the Brandenburg Gate.